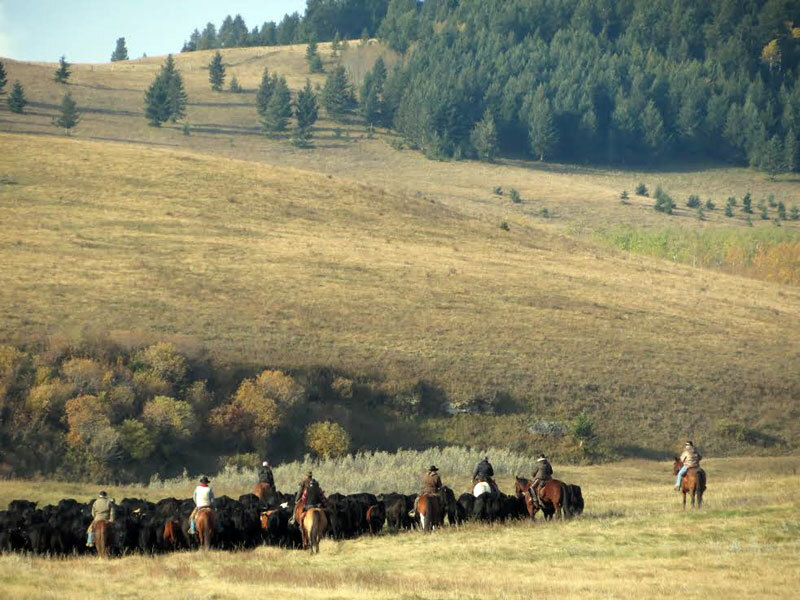 If you have always wanted to be part of an 'old west' cattle drive and you are an experienced rider who can handle 6-10 hours in the saddle, then give some thought to spending quality time on horseback in the beautiful Porcupine hills of Southwestern Alberta. 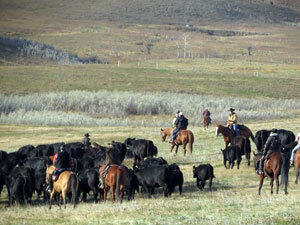 Our cattle drives are one-week-packages. And that extended length of time will give you an opportunity to get to know your horse, as well as the terrain in the surrounding hills. We live in a very close community where neighbours help each other out. Everybody is always thankful for a 'helping hand'. 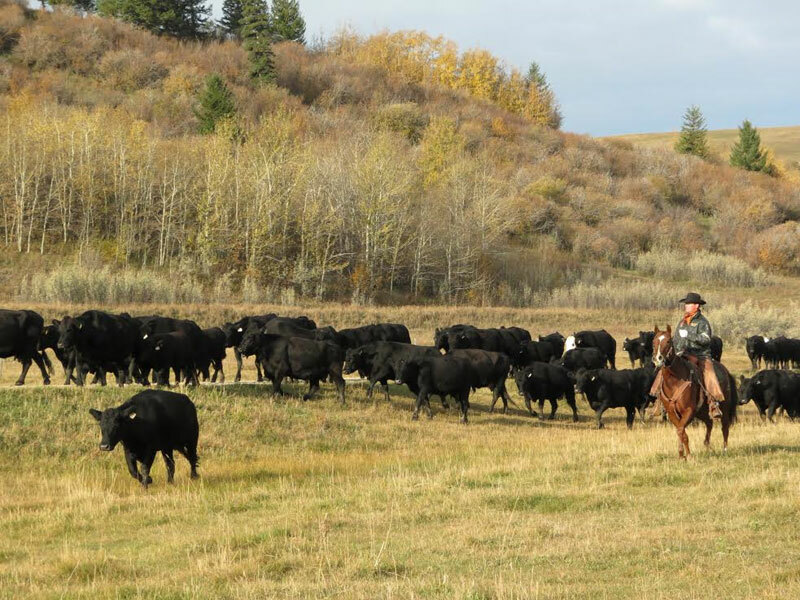 Much of our cattle handling work depends on the time of year, the amount of moisture we receive and the movement of cattle to the forestly reserve and back. Lucasia Ranch holds its annual branding in June each year, then offers cattle drives in mid August and late September when cow-calf pairs are moved west then back to the homeranch. 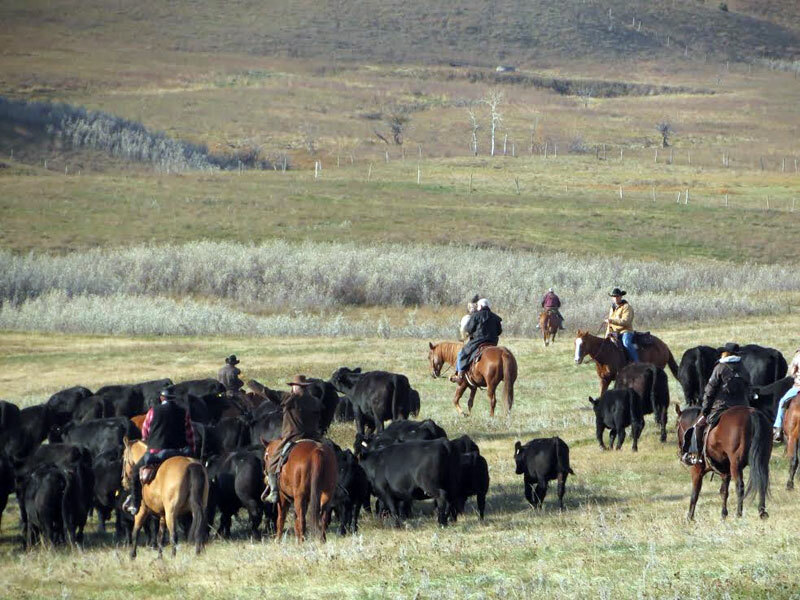 These cattle weeks fill up very quickly and are best-suited to experienced riders who can handle long hours in the saddle. Overall, Lucasia Ranch cattle drives offer a true 'ranching experience' with experienced horses, entertaining hosts and interesting fellow guests. 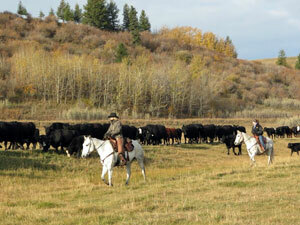 Check out details on our cattle drives by clicking here.